Lacoste and Drum n Bass label, Deep Soul Music (DSM) recently unveiled a great new sneaker collaboration featuring a revamped ‘Mississippi’ in an unmistakable DSM color mix of brown, rusty orange and umber. 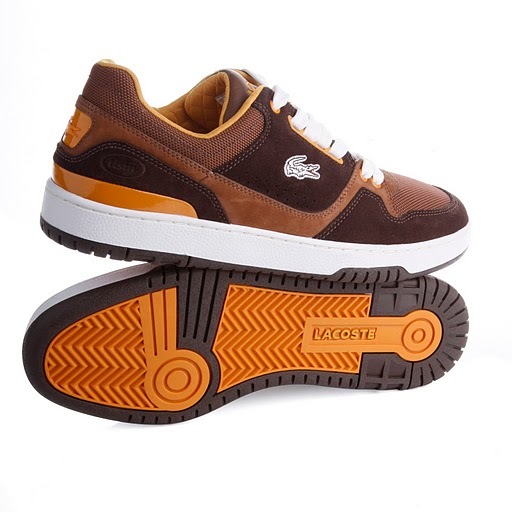 Unique features include the reinforced-plastic crocodile logo on the heel and a DSM-branded in-sock along with two sets of interchangeable laces in brown and orange. But what makes this drop extra-special is the inclusion of a USB key compilation featuring an eight-track mix from DSM artists including Ben E (UK), Sinistarr & Stray (Detroit) and Nether (Australia) among others, which will be packaged with the limited edition sneakers. Heads looking to pick up a pair should be on the look-out, only 260 pairs are available worldwide… Now you know.